When your drain suddenly backs up and you need immediate assistance, you can count on DrainMaster for affordable, effective 24-hour emergency drain cleaning. We have the right tools and knowledge to ensure a quick resolution for any problem drain. 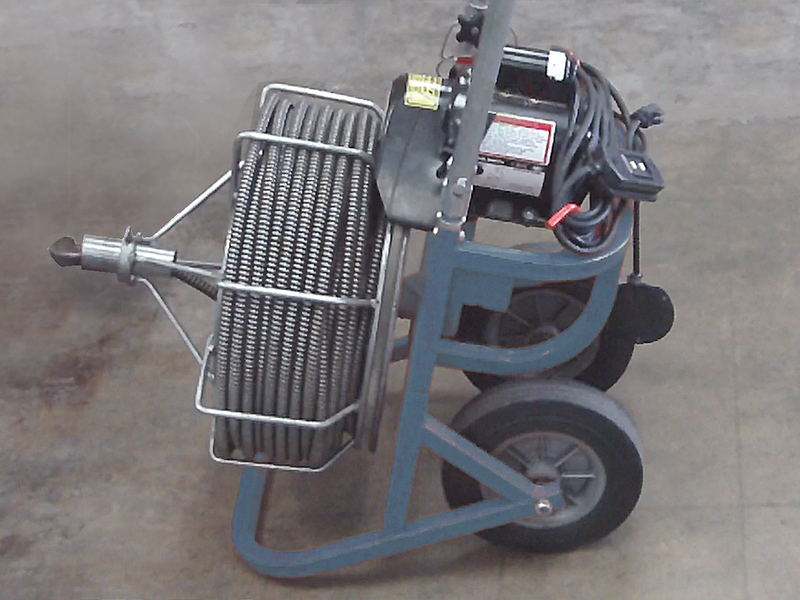 DrainMaster Ohio has invested in the most advanced technology and most highly-trained technicians to provide superior drain cleaning service for fast results. We provide a variety of solutions, including both low-tech, traditional services that have been used for decades and advanced, modern technology to better take care of really difficult situations. Our expert technicians are fully trained in the best methods for quickly clearing drain problems, and we regularly research and adopt new techniques to improve our results. Your satisfaction is our top priority. To remove small-scale clogs we offer time-tested drain cabling, service, also known as the sewer snake. This simple drain cleaning method uses a mechanical clog-breaking tool that cuts and crumbles the blockage so that it can be either extracted or rinsed down the drain. To cable a drain, DrainMaster inserts a long cable with a specialized cutting tip into the problem pipe, either through a plumbing fixture such as a toilet or sink or through a built-in opening called a cleanout. The technician works the tip through the pipe until it reaches the clog, then cranks the tool to penetrate the obstruction with the cutting tip. As the blockage begins to separate, the technician extracts the tool, pulling out a some of the debris. The remaining material washes away, instantly restoring sewer flow. If you have a more difficult clog or a recurring problem, DrainMaster also offers state-of-the-art hydro jetting technology. With this powerful system, we can not only disintegrate the blockage for immediate sewer restoration, but also clean away surrounding pipe buildup to ensure lasting results. The hydro jetting system involves a long water hose with a highly-calibrated, high-pressure nozzle that ejects water in all directions at once. Our expert technician inserts this tool into the pipe and navigates to the blockage, then applies the water jets at a force strong enough to break up the clog while still protecting the pipe structure. As the clog material splits apart, the water flow washes it harmless down the drain. Trapped waste, mineral deposits, and roots are also removed, reopening the pipe to full diameter, and preventing future clogs. Hydro jetting can remove even the toughest clogs in a safe, environmentally-friendly manner that ensures long-lasting results. Once we’ve completed your emergency drain cleaning, DrainMaster will inspect the pipe with our video inspection technology to ensure that we’ve fully resolve the issue. We can also check for any signs of damage that were hidden under the buildup. If your sewer system requires additional care, we’ll let you know so we can work together to get it taken care of. DrainMaster is proud to offer the best emergency drain cleaning services for every customer’s unique situation. Our experienced, highly-trained technicians quickly restore your drain service at the most affordable rates. We’re available 24/7 to help you whenever you need us. Call 614-276-1510 now! Fill out the from above and we'll respond in a timely manner.